Service Sector Fund Or A Strategic Portfolio - What Makes Sense Now? Falling stock markets has become an everyday sight in India nowadays. Domestic investors have started shying away from the markets and Foreign Institutional Investors (FIIs) too have been pulling out money. But the worrisome factor is Foreign Direct Investment (FDI) route which is more stable and dependable in nature has also come under pressure of late. In the Financial Year (FY) 2017-18 FDI investments in India hit a five-year low. The services sector was severely affected as the FDI flows fell 23% on the Year-on-Year basis. But falling markets can offer you great investment opportunities. And you need not be even worried about FDI trends as well. Has India's services sector become unattractive to investors? Or the on-going market correction has made the valuation of many services companies reasonable? What should be your strategy to invest in India's services sector? 'Core and Satellite strategy' is the answer. The 'Core and satellite' investing is a time-tested strategy to build your investment portfolio. For the mutual fund investors, the 'core portfolio' should consist of large-cap, multi-cap, and value funds, and the 'satellite portfolio' should include mid-and-small cap funds and opportunities style funds. Opportunities funds and value funds may help you benefit from the cheap valuations of some companies at this juncture. Moreover, their diversified nature would lower the risks associated with thematic funds focused on the services sector. You can further enhance the effectiveness of the 'core and satellite' strategy by starting a SIP (Systematic Investment Plan) in each shortlisted scheme. Services sector not only has a dominant share in India's GDP but has also been a source of mass-level employment. According, India Brand Equity Foundation, services industries collectively put up 54% India's Gross Domestic Value-Added (GVA) and provides employment to over 28% of India's population. According to the Economic Survey 2017-18, services sector in India has been growing at a faster pace than India's overall GDP. Export-oriented services industries have been witnessing even rapid growth. Various government initiatives such as according infrastructure stats to logistics, digitalisation of services and implementation of Goods and Services Tax (GST) have contributed to the impressive performance of services sector in India. The seasonally adjusted Nikkei India Services Business Activity Index suggest that, India's services sector activity jumped to a 21-month high in July. What might drive services sector growth going forward? The question is should you invest in services sector funds? A one word answer is, No! PersonalFN reiterates, you should never invest in a sector or thematic fund. Let's assume, India's services sector is going to thrive even in future, but, do you need a thematic fund to benefit from such opportunities? Logically, any diversified multi-cap mutual fund scheme can invest in companies belonging to the services industries. Nothing stops them from this. Instead of investing in services sector funds, consider worthy diversified mutual fund schemes that have a proven track record and come from mutual fund houses following sound investment systems and process. Before you invest in any mutual fund scheme, it's imperative to take into account your financial goals, time horizon and your risk appetite. Based on these factors, you should chalk out a personalised asset allocation plan. 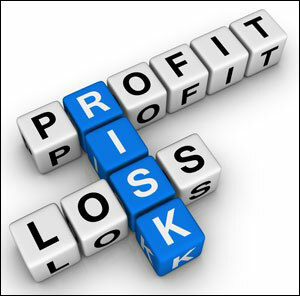 PersonalFN offers you a great opportunity if you're looking for "high investment gains at relatively moderate risk". Based on the 'core and satellite' approach to investing, here's PersonalFN's premium report: The Strategic Funds Portfolio For 2025 (2018 Edition). In this report, PersonalFN will provide you with a ready-made portfolio of its top equity mutual funds schemes for 2025 that have the ability to generate lucrative returns over the long term. Equitymaster requests your view! Post a comment on "Service Sector Fund Or A Strategic Portfolio - What Makes Sense Now?". Click here!